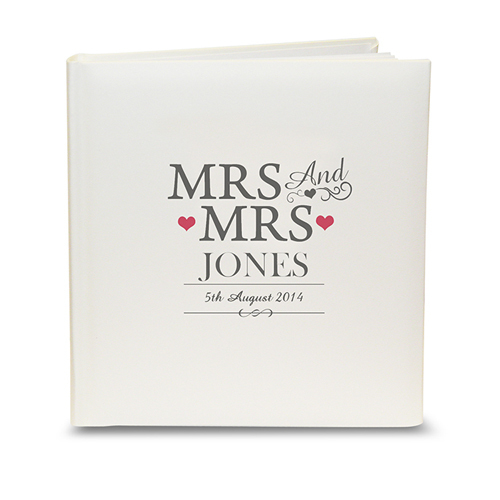 Personalise this Mrs & Mrs Traditional Album with couples surname up to 15 characters and date up to 20 characters. 'Mrs & Mrs' is fixed Surname will appear in capitals as standard. NOTE: Due to the font type used please refrain from using all capitals in your personalised message on line 2. Personalise with couples surname up to 15 characters and date up to 20 characters.